A SATO RACING Oil Filler Cap is a great way to upgrade the appearance of your engine case. 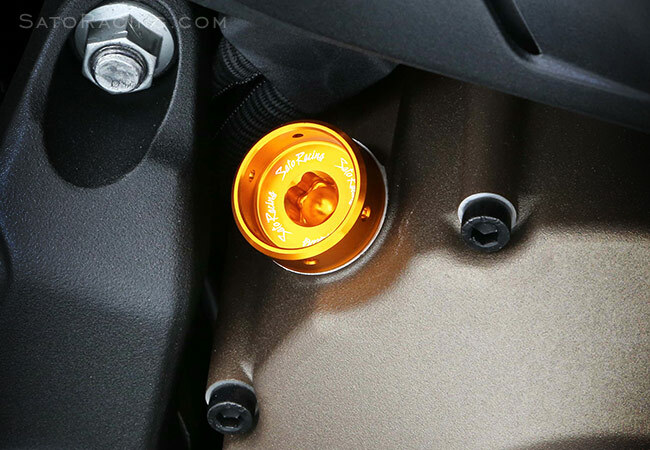 Our Oil Filler Caps are machined out of billet aluminum and anodized in your choice of Black, Silver or Gold finish, with laser-etched 'Sato Racing' logo script on the inside. Most models come in ROUND style. HEX style is also available on select models. SATO Oil Caps also have holes along the outside edge that you can use to attach a safety wire. 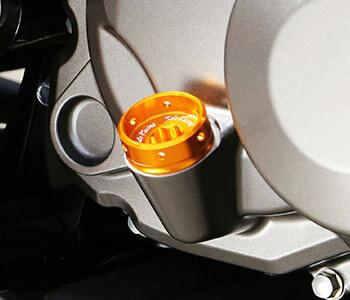 Options include a Quick Wrench specially designed for the Sato Oil Cap, and a Titanium Locking Plate that can be attached to a safety wire to help keep the cap securely in place. use the stock O-ring. We also recommend safety wiring the cap. Oil cap size varies between models of each make, and can even be different among the same models made at different times. We do not yet have a complete list of oil cap fitment, so you might want to measure the thread pitch and size of your stock oil cap before placing an order. 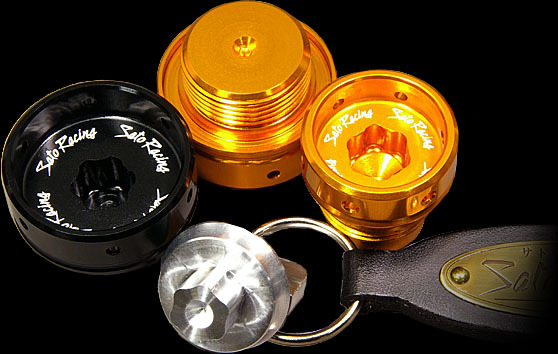 We recommend purchasing the optional Quick Wrench [#OFCAP-TOOLKR] with this ROUND-style Oil Cap. 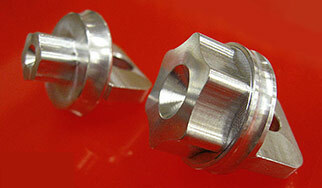 NOTE: Our Quick Wrench is not compatible with the HEX-style Oil Cap. NOTE: Our Quick Wrench is not compatible with this model. Oil Filler Caps. Keep it on your keyring for quick and easy access anytime.